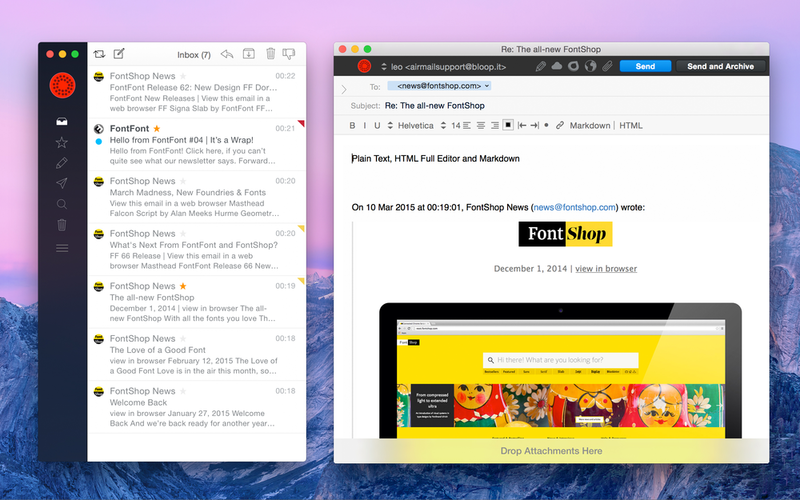 If you are looking to replace the Mail app on your Mac the app I recommend is Airmail 2. 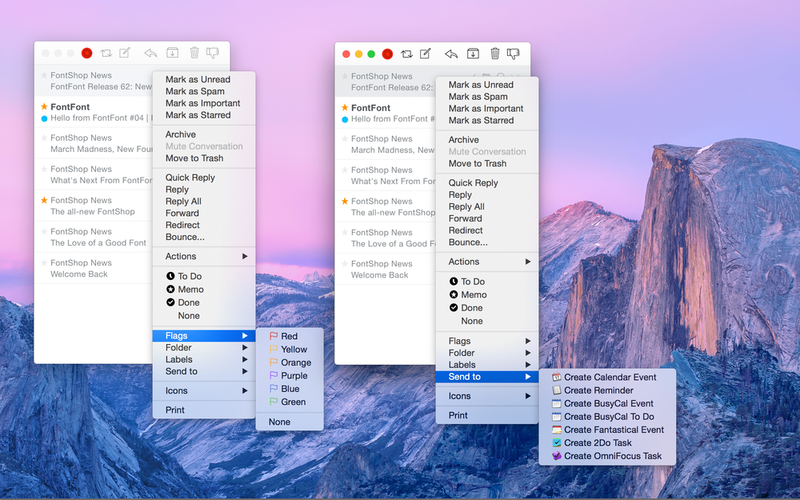 I have been using Airmail for about two years but just today I upgraded to version 2.1. 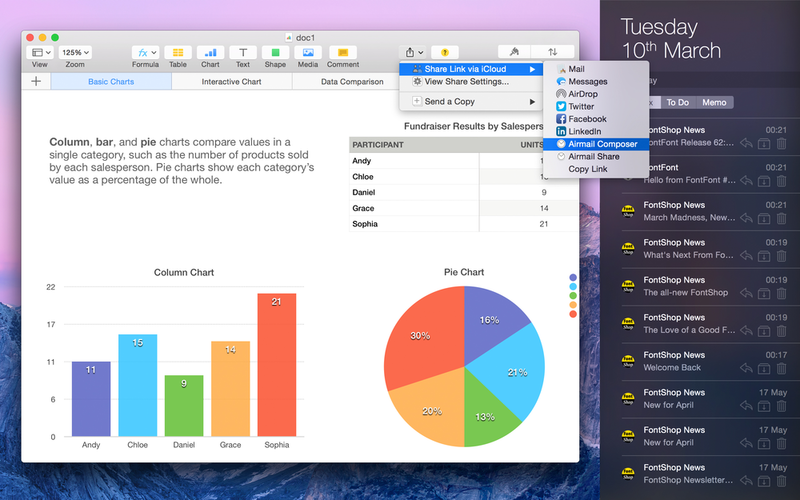 I started using the free Beta and purchased version 1.0 for $1.99 when it hit the Mac App Store. Version 2.0 came out last November for $9.99 and I gave it a look but did not buy it. Why? Because version 1.4 the last supported V1.0 update was working perfectly and I did not saw a need to upgrade. 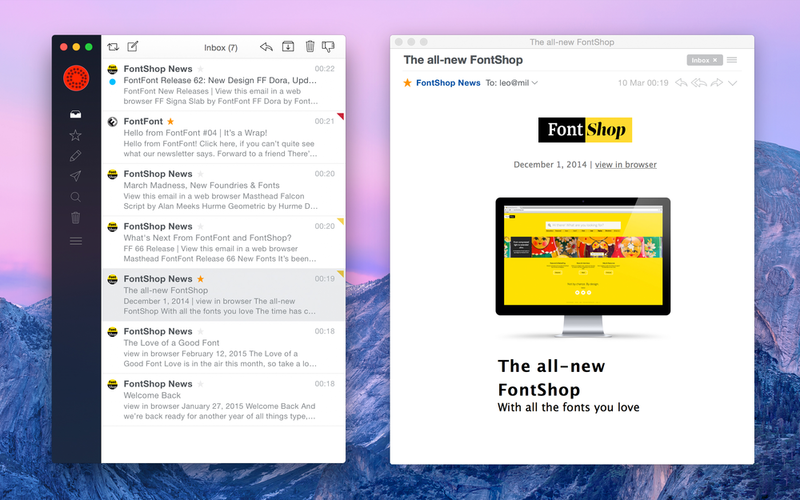 Now out of curiosity I decided to buy and download version 2.1 today and I have to admit it’s a substancial difference and I will just link to Airmail website so you can see al the features. 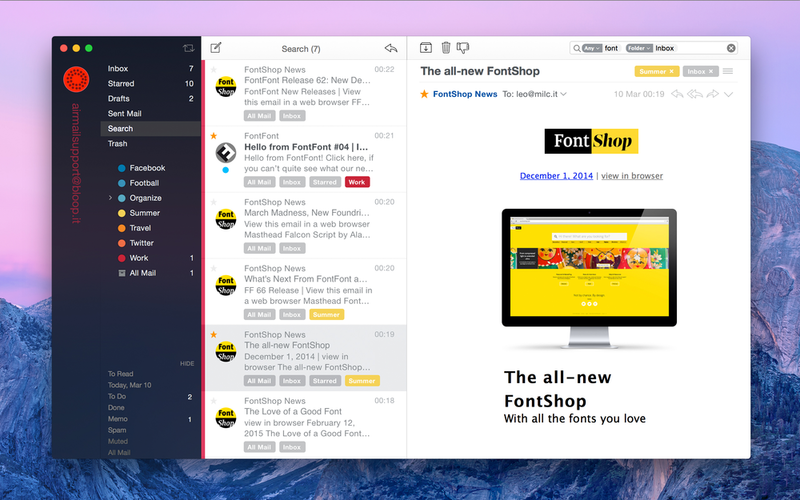 But seriously if you are looking for an outstanding, fast and responsive mail client I totally recommend Airmail 2.